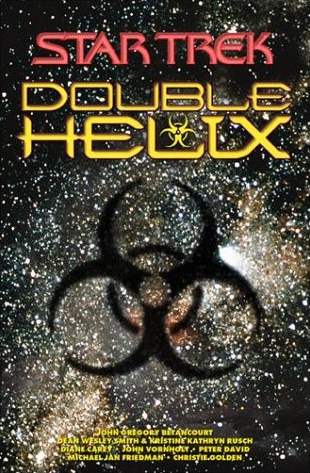 Cross Cult has announced it plans to publish German translations of the 1999 crossover series Double Helix, with their version of the six book series starting in February next year. The scheduling falls in line with their release of New Frontier books, as the fifth book in the miniseries will also be the sixth of their New Frontier ones, following on from their latest, Gebranntes Kind (Once Burned). Cross Cult have announced they will be slowing down their releases, as the sales have not be able to support the current output. There will now be one novel a month (with possible occasional exceptions). This has affected the schedule: Feuertaufe: McCoy - Die Herkunft der Schatten (Crucible: McCoy - Provenance of Shadows) has been pushed back to October, rather than being released alongside this month's McCoy (Leonard McCoy, Frontier Doctor) comic release. The next Vanguard book, What Judgments Come, also will no longer be released simultaneously with the US publication, and has for the moment been removed from the schedule all together; but will apparently be released in a timely manner. 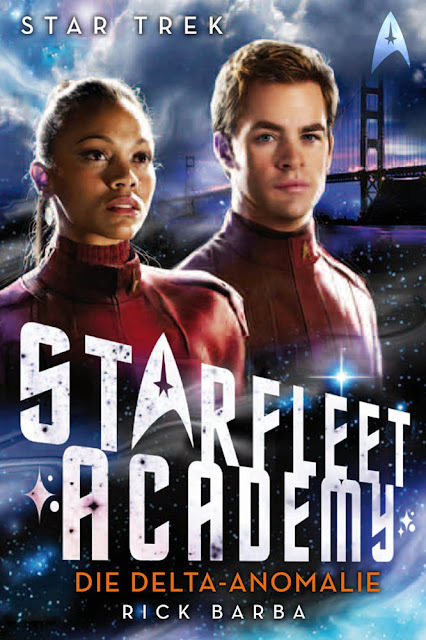 The Cross Cult Star Trek website is currently using the original American covers, which I do prefer the more painterly covers of, but it’s a shame they don’t have the additions of the Star Trek title and author name on the cover proposed on the above image. And finally, the first book in the Destiny trilogy Götter der Nacht (Gods of Night) has done well enough to warrant a second printing! BTW They plan to do new covers for the books, and looking at the original covers that's a good thing.